Kitchen and Residential Design: How big's that spill again? 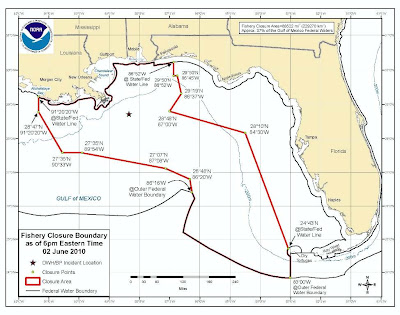 This is a map, updated today, of the federal waters closed to commercial and recreational fishing until further notice. 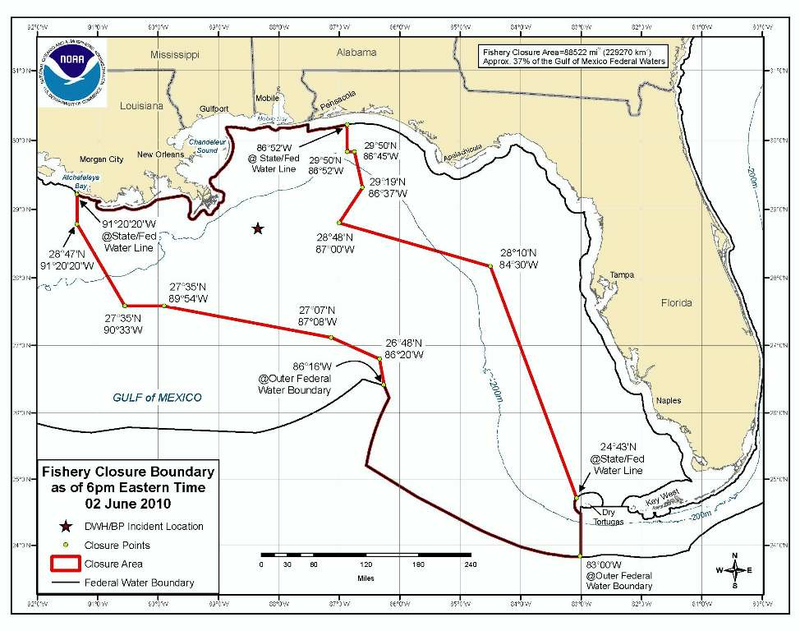 For those of you keeping score at home, this makes 37% of the entire Gulf that's now off-limits. 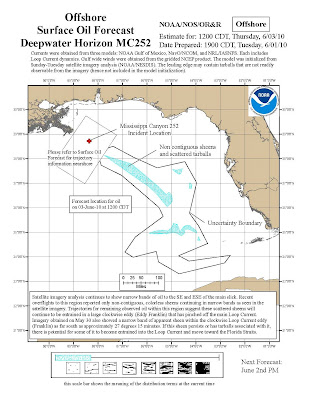 Mind you, this is not the size of the spill, this is the size of the potentially contaminated area. 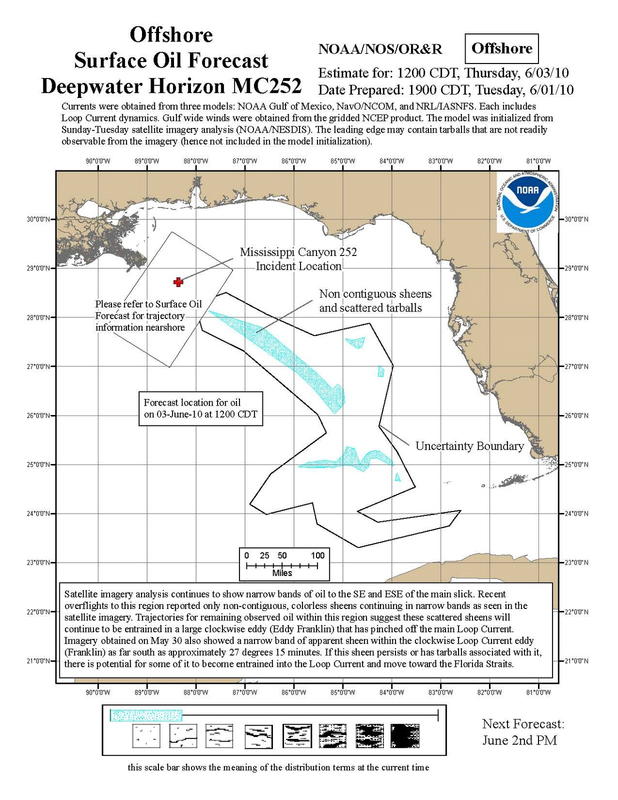 Here's the size of the spill as of tomorrow as projected by NOAA. "The first thing to say is I’m sorry,” he told reporters, when asked what he would like to tell locals whose livelihoods have been affected. “We’re sorry for the massive disruption it’s caused their lives. There’s no one who wants this over more than I do. I would like my life back." Well Mr. Hayward, I would like my Gulf of Mexico back. Somewhere there's a band warming up and the only song they perform is "Nearer my God to Thee." It superimposes the size of the spill over your home city, to give you a better sense of the scale of the disaster. When that was a beta from Google I popped it up on the blog here. I'm glad to see it's taken on a life of its own. Any word on what the date of that oil spill image is? Briefly; to think that billionS of $$$ have been spent on Space ExpeditionS BUT 'we' cannot control an oil spill. Without pointing a finger at to who is to blame, it makes you want think about 'OUR PLANTET's priorities' doesn't it?